In the modern age of almost universal computer usage, practically every individual in a technologically developed society has routine access to the most up-to-date cryptographic technology that exists, the so-called RSA public-key cryptosystem. 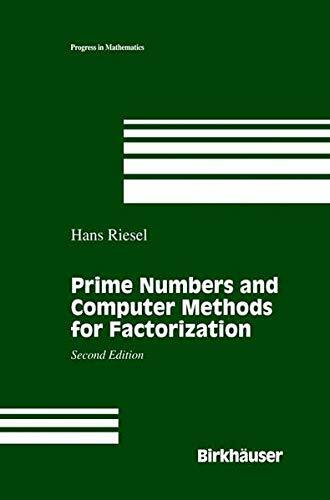 A major component of this system is the factorization of large numbers into their primes. Thus an ancient number-theory concept now plays a crucial role in communication among millions of people who may have little or no knowledge of even elementary mathematics. The independent structure of each chapter of the book makes it highly readable for a wide variety of mathematicians, students of applied number theory, and others interested in both study and research in number theory and cryptography.